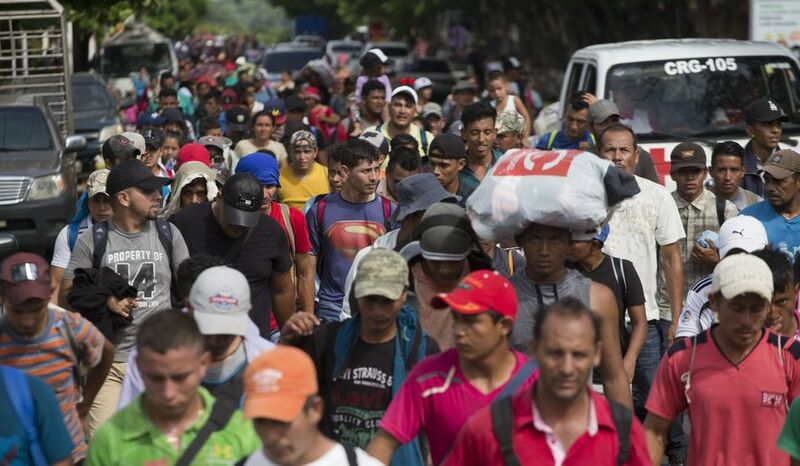 Who’s financing the Honduras migrant caravan of illegal immigrants, with as many as 10,000 snaking their way into illegally entering the U.S.? We have got to have the DOJ investigate where the funding is coming from to send these thousands and thousands of people to the U.S. … You can use RICO to go after them. The question, which the incurious media show no sign of wanting to answer, is worth asking, given the expense the taxpayers will be saddled with as thousands of them openly climb over border fences, dare border officials to fire on them to stop them, worm their way in through asylum legal maneuvering, or put up big sob stories with photos of mothers and crying children as a means to get in and get the benefit packages. It’s a certainty that quite a few will get in, unless President Trump can be genuinely effective at stopping them, and right now that’s not a certainty. Expensive strollers, yes, but what’s even more expensive are the costs all of these migrants and their children will incur for the U.S. – educating them, feeding them, housing them, medicating them, lawyering them, policing them, jailing them, and everything else migrants get in their vast benefit packages once in, legally or not. Gavin Newsom, currently running for governor of California, vows to give them free health care, which has got to be a magnet. They also, as Mickey Kaus has repeatedly noted, drive down wages for the poorest Americans. Their remittances, meanwhile, leave American cities underdeveloped as all capital flows out, and the serve to prop up the corrupt governments of the countries they left behind, providing them a cash source that the IMF has warned tends to underdevelop those countries – and triggers more treks north. So yes, the taxpaying public absolutely has an interest in knowing who wants to destroy our rule of law and make our borders meaningless, an act of meddling if there ever was any, and who wants to foist huge benefit packages on the foreign invaders coming to the U.S. illegally, courtesy of the U.S. taxpayer. Louis Gohmert is on to something, and his call should be taken seriously.